Summer is not complete without swimming! The unbearable heat makes you want to take a bath every 30 minutes which is so very Filipino. Fortunately before summer officially ends, we got to enjoy swimming on two different occasions. These were in Graceland, Tayabas Province during the holy week and in Bulacan with the Gonzales family. We were sneaky enough to swim on a Thursday morning while most of the vacationers in the country club are sleeping. 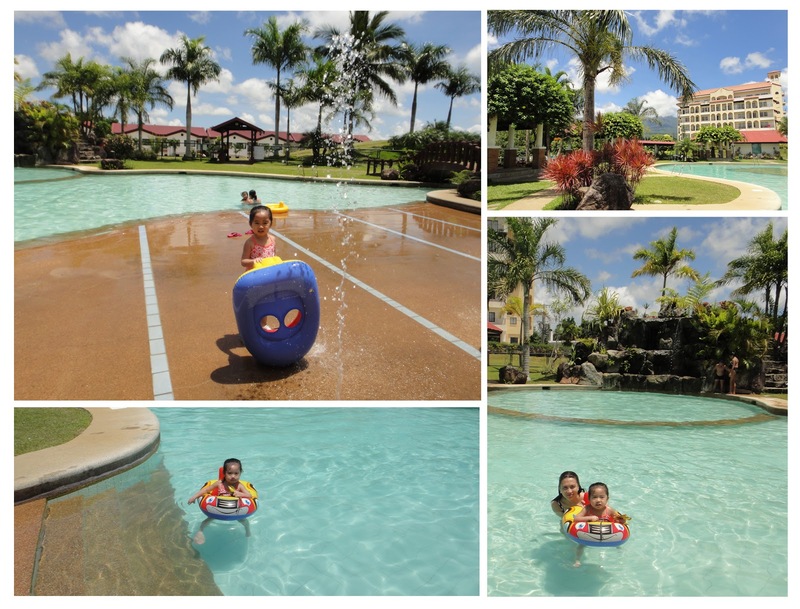 Iya enjoyed riding in her car/boat while I kept on pestering her to go out and take a dip in the pool. We went swimming again on a Saturday afternoon but there were more families swimming with us. This is a non swimming event that I want to post though… This was when we got back from Manila and ate in Pho Hoa before going home. The double straw is so Betty and Veronica. 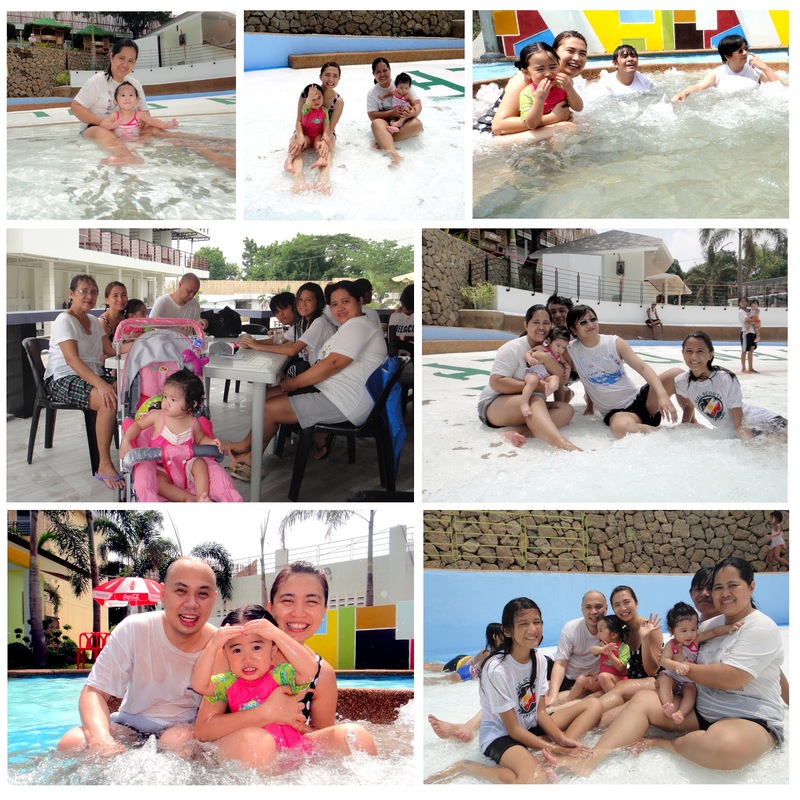 With the Gonzales family (Vic, Leg, Melissa, Aldrich, Faith, and Mommy) in one of the resorts in Bulacan. (I forgot the name). It just opened this April so the facilities are still new. Iya enjoying the fountain lined at the edge of the wave pool. I think she enjoyed this one because of the water height. She can do what she wants and walk around. Iya at the kiddie pool/ jacuzzi with the bubbly water. She does not want to get out of the pool and we have to drag her (literally) to eat. When we were talking about eating merienda (fishballs and saging con yelo), she asked me “Kakain nanaman? Kakakain lang natin ah?” And even if we were already seated, we went back to the pool while waiting for the food to be served. She was that adamant. I think she inherited that from me because I remember that I would forgo eating over swimming any day. Now.. not so much. This is what will happen if..